I know that I have already done a ton of Halloween posts this month, but I have just one more to share and it is a really special one. 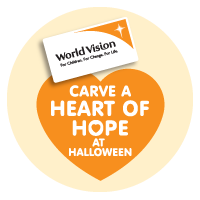 I am delighted to be taking part in World Vision's Carve a Heart of Hope Campaign. World Vision is the world’s largest international children’s charity operating in over 100 countries in the world bringing hope to children in the world's hardest places. World Vision Ireland is a small part of this global organization, providing long term support to children in six African countries; Mauritania, Kenya, Swaziland, Tanzania, Uganda and Sierra Leone. We also provide emergency support where needed and are actively supporting the Syrian crisis at the moment. 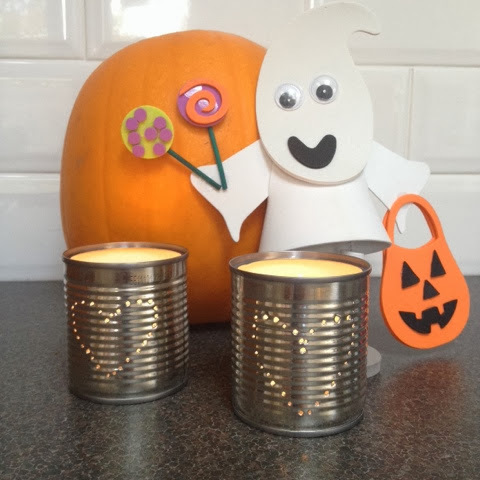 This Halloween World Vision are running a campaign to raise awareness of their work. They’re asking people all over Ireland to carve a heart of hope into a pumpkin and place it in their window as a sign that they care that all children should have the opportunity to Survive to 5. For children in the developing world, the first five years are the most deadly, and if a child lives past five, their chances of survival increase dramatically. World Vision believes that every child should be given the chance to survive to 5. Sponsoring a child through World Vision provides a real and tangible way for us to help children reach their 5th birthday. Instead of carving a Heart of Hope into a Pumpkin I, typically, had other ideas! I wanted to 'Hammer a Heart of Hope'... partly because I love alliteration and partly because I have wanted to make these for ages and it seemed a perfect craft to tie in with this campaign. 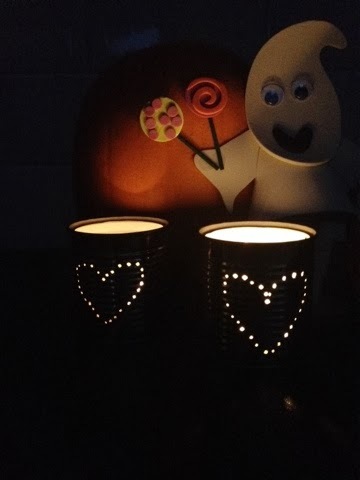 I made some Mini Tin Can Heart Lanterns from some mini-tins that once contained sweetcorn. One little light each from Lile and Sábha to all their counterparts who are needlessly suffering. These lanterns are very easy to make and, as they are made from recycled things, they cost almost nothing. Clean the can and remove the label. Fill with water and freeze overnight. 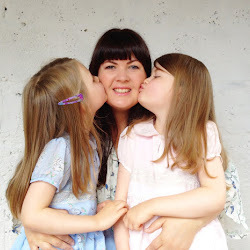 Use your felt tip pen to draw on a heart shape. Use the hammer and nail to make little holes along the outline. (I used a tea towel to stop the can slipping while I was hammering) Put the cans in the sink while the ice melts, using warm water to help it along if you're impatient like me! Dry it off, pop in a tealight and wait until it's dark to enjoy the twinkling glow. If you are Irish, please consider joining this worthy cause and share your creations with World Vision HERE for a chance to win some great prizes!